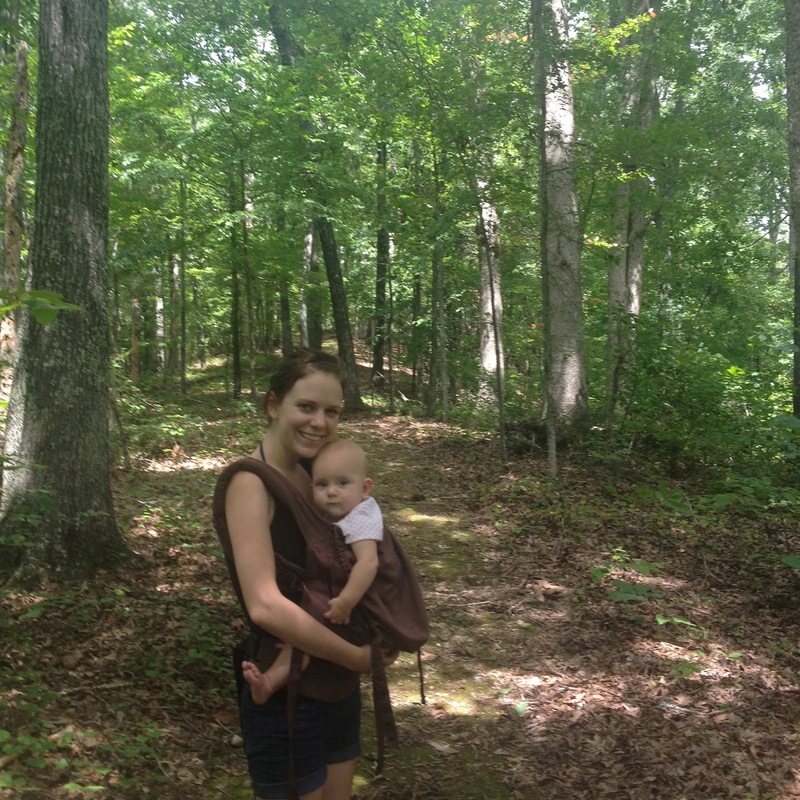 Labor Day weekend and the following week seemed like the perfect time to continue our Tennessee State Park adventure. Now that it is not blazing hot, we are ready to check a few more off the list! Seriously, Tennessee is gorgeous. I am so glad we are taking the time to explore so many parts of the state. We had the pleasure of having the Moody family join us at this state park, located about 2 hours west of Nashville. It was a beautiful drive once we got off the interstate. We didn't go on the long hike that this park offers but the 3 mile hike to the river was perfect for us. And the water was wonderful for swimming! Michael and I were headed to a wedding shower in Chattanooga and decided to stop off at a state park on our way down. This park is perfect for a quick visit. It is only 10 minutes off I-24 in Manchester and the park has a beautiful 1.5-mile loop. It is an old archeological site and even has a museum where you can learn all about the Native Americans that lived here. Waterfalls, rivers, woods, and meadows - in such a small space, this park has everything! A successful week of park visits. Looking forward to our next stop!